I had some basil leftover from a roast chicken dinner the other night. I didn’t want to waste it, so I thought I’d make them into muffins. I recently had a memory of these cheddar and leek scones I made once, and I got this craving for some savory muffins. 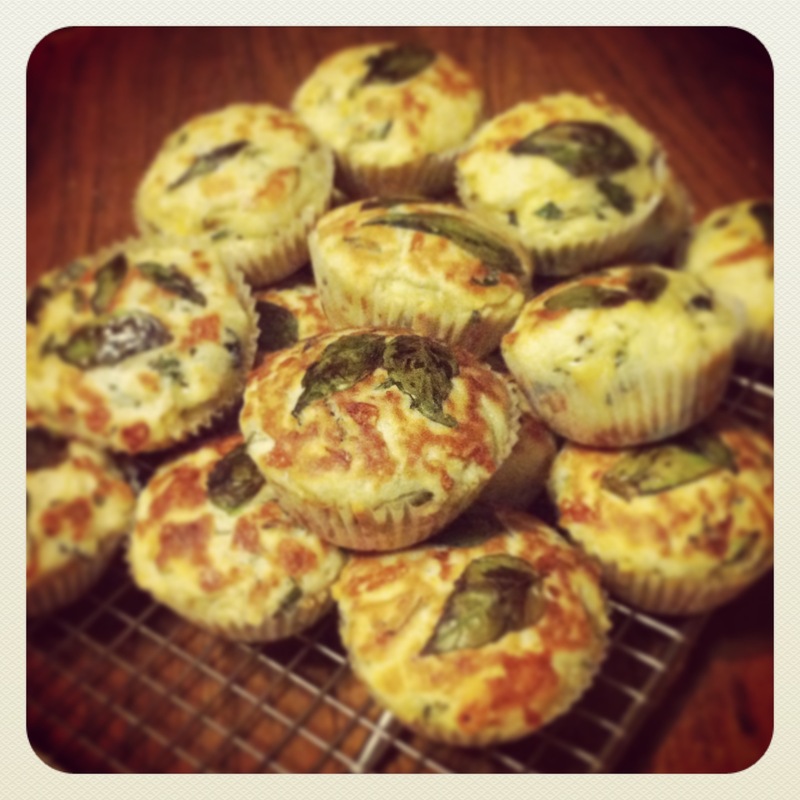 After googling “basil muffins” and finding out that they do exist, I set about making them. I used the first three Google results as a guide — luckily all I needed was some more basil and cheese. I debated adding olives, but I thought I’d just stick to olive oil and let the basil stand on its own. I used half all-purpose and half whole wheat flour, and they turned out just the right balance of airy and dense. The muffins live up to their name as well: Basil means “fragrant leaf” in Chinese (香叶, xiang ye), and these muffins really are fragrant. I would know because I brought some to work today, and the container they were in smells so delicious. A Chinese takeout in China!